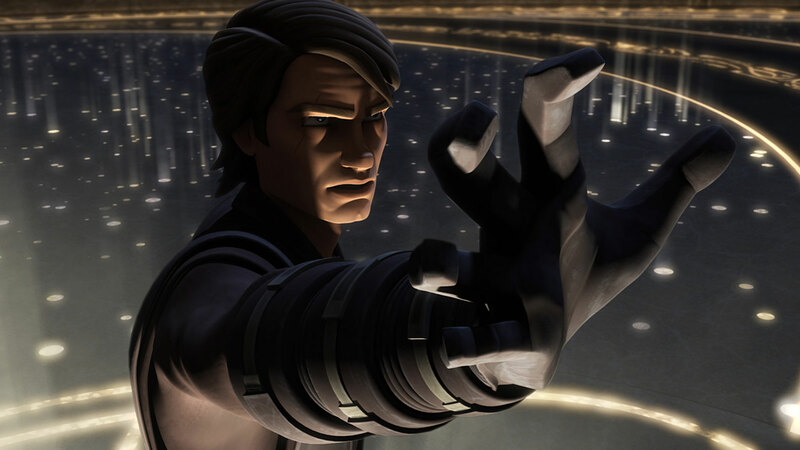 In case you haven’t heard by now Star Wars: The Clone Wars is a fantastic and official part of Disney’s ongoing Star Wars universe that not only brought the battles and struggles of the Clone Wars to life, but introduced Star Wars fans to one of the series best characters: Ahsoka Tano, the Padawan of Anakin Skywalker. Yet despite this fact I still stumble across many Star Wars fans who have yet to watch the show! Now understandably, with six seasons, 121 episodes and a feature length film; the prospect of sitting down to watch Star Wars: The Clone Wars can be more than a little intimidating. 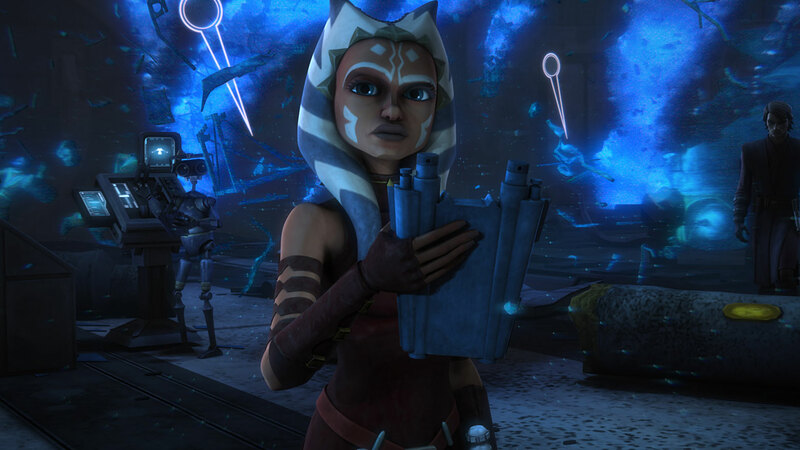 Clocking in at 48 episodes and a feature length film this list of “Essential Ahsoka” episodes should help to streamline the viewing process for newcomers and boil The Clone Wars down to its heart; Padawan Ahsoka Tano and her Jedi Master, Anakin Skywalker. I will be listing most episodes by their respective story arc and have included two Ahsoka-less arcs to help give context to major events in Ahsoka’s story later on. I will also be EMPHASIZING any secondary characters that are important to Ahsoka’s story as they turn up; that way a quick control+f will let you cruise to any episodes pertinent to the characters you wish to see. As a bonus, each episode contains a hyperlink to its respective episode on Netflix for your easy viewing pleasure! Just remember folks, this is NOT a complete list of all episodes featuring Ahsoka, simply the ones I feel are the most important! 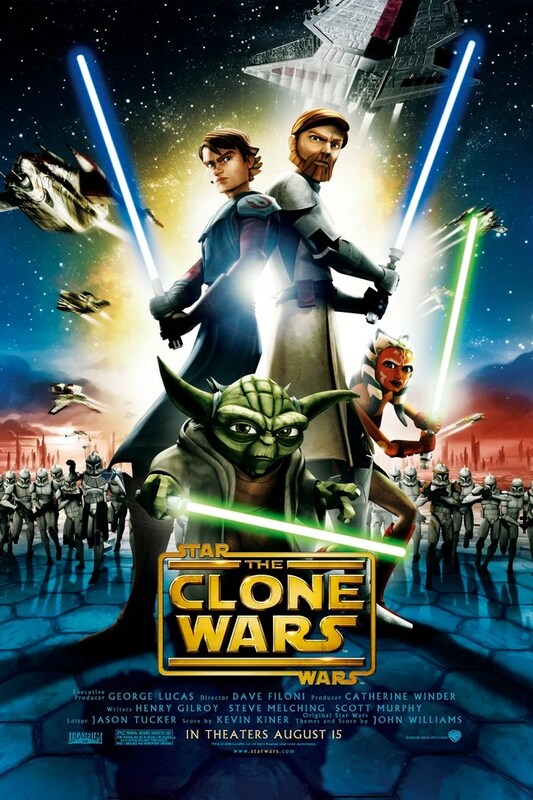 Star Wars: The Clone Wars Feature Film. Ahsoka’s introduction to audiences and the starting point of her character arc, this is the obvious starting point for the list. That being said, the movie is Clone Wars at its worst; so just keep in mind that everything will only get better from here on. 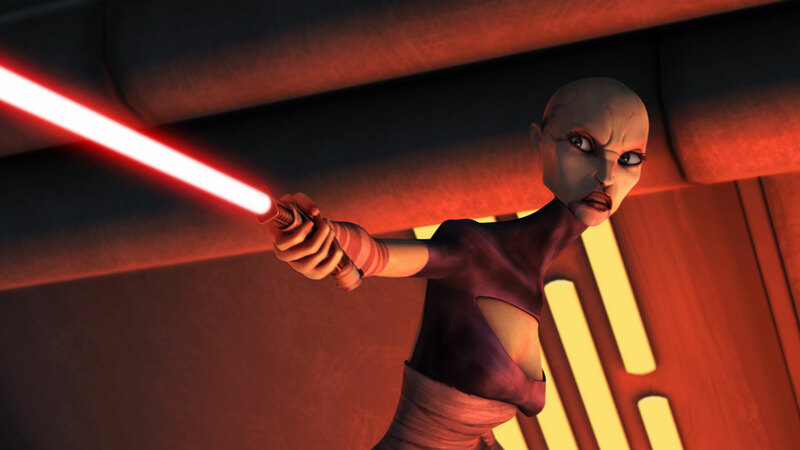 Alongside Ahsoka, viewers are also introduced to ASAJJ VENTRESS. While not The Clone Wars best showing, this three part story arc introduces viewers to Jedi Master PLO KOON, the Jedi who brought young Ahsoka into the Jedi fold; and continues building on the relationship seen between Anakin and Ahsoka during the feature film. 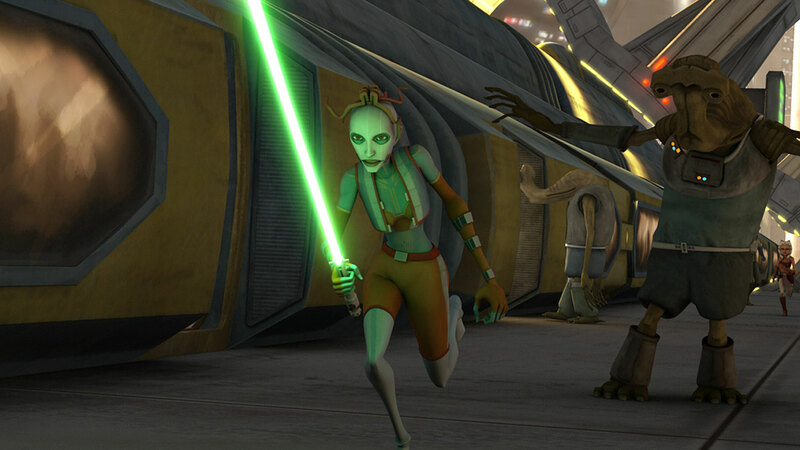 This episode introduces us to Jedi Master LUMINARA UNDULI and sees the return of ASAJJ VENTRESS. 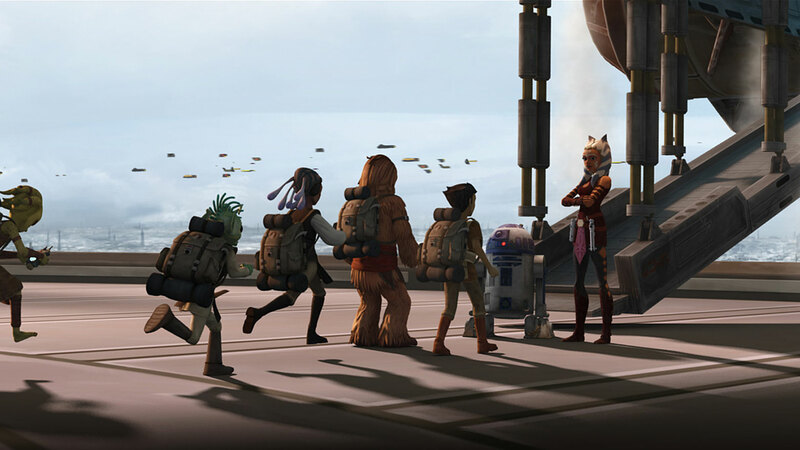 Ahsoka’s first foray into a command position, this episode really stresses the unique teaching style and Master/Padawan relationship that exists between Anakin and Ahsoka. 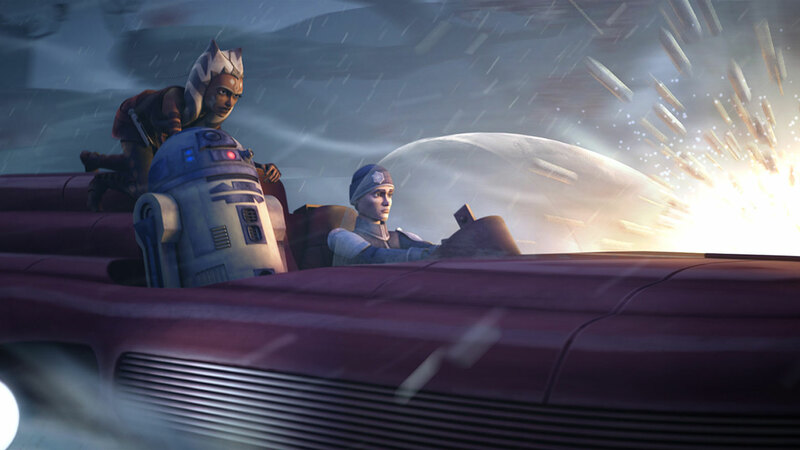 Unfortunately, Ahsoka does not participate in the rest of the Ryloth story arc. This arc introduces viewers to Cad Bane, one of the best new additions to Star Wars lore; and shows us the lengths Anakin will go to to protect his Padawan. Keen-eyed fans may also recognize Jedi Master Jocasta Nu, the Jedi librarian Obi-wan speaks to during Episode II: Attack of the Clones. 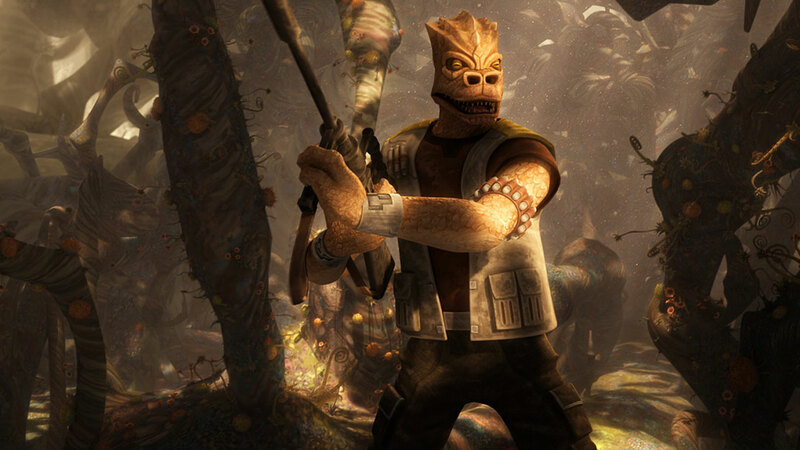 A homage to Seven Samurai, this episode sees a return to Felucia and introduces HONDO OHNAKA to viewers as well as an eclectic assortment of bounty hunters that make brief appearances (big and small) throughout the series. 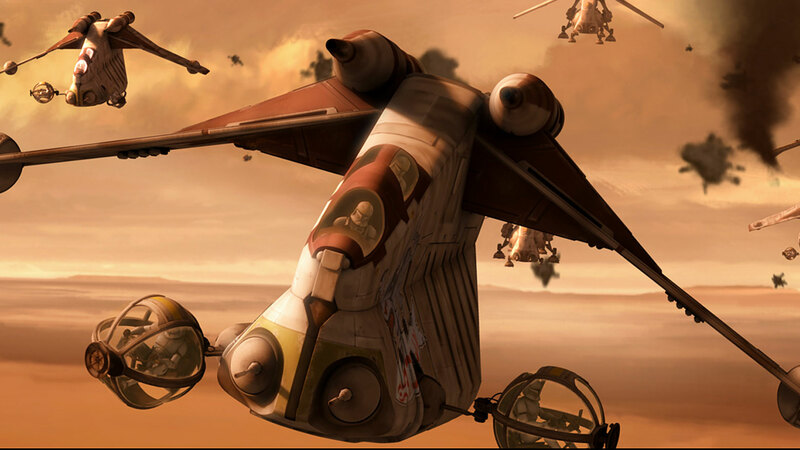 This arc returns viewers to Geonosis, the red planet featured in Episode II: Attack of the Clones; and further delves into the unique Master/Padawan relationship of Ahsoka and Anakin. 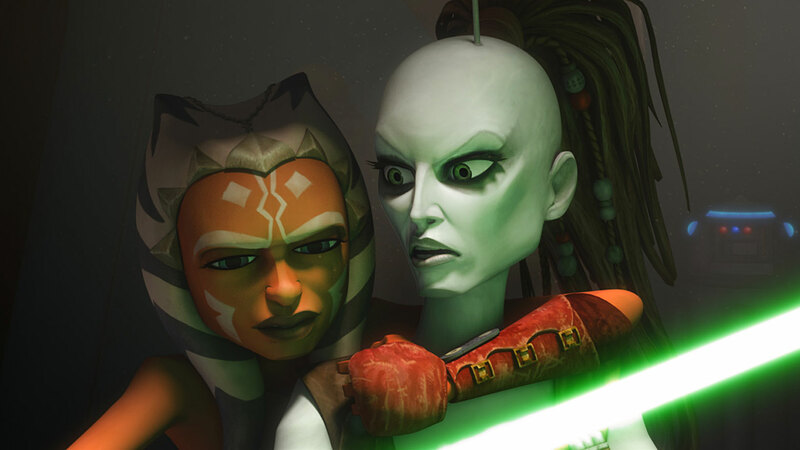 Introduces viewers to Jedi Padawan BARISS OFFEE and sees the return of Jedi Master LUMINARA UNDULI. A smaller episode that sees Ahsoka teaming up with an older Jedi, delving into the slums of Coruscant and learning a lesson. Also, parkour! Jedi Master Jocasta Nu and PLO KOON make brief appearances. 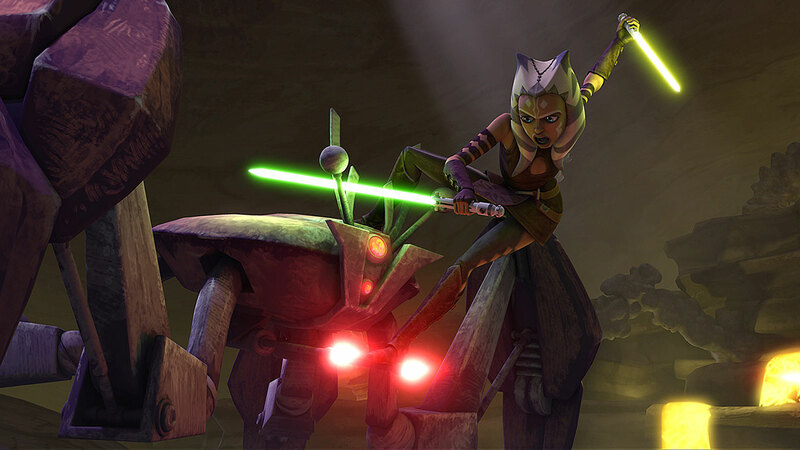 While Ahsoka only makes an appearance at the end of this arc, it re-introduces viewers to fan favorite BOBA FETT, who last made an appearance in Episode II: Attack of the Clones. 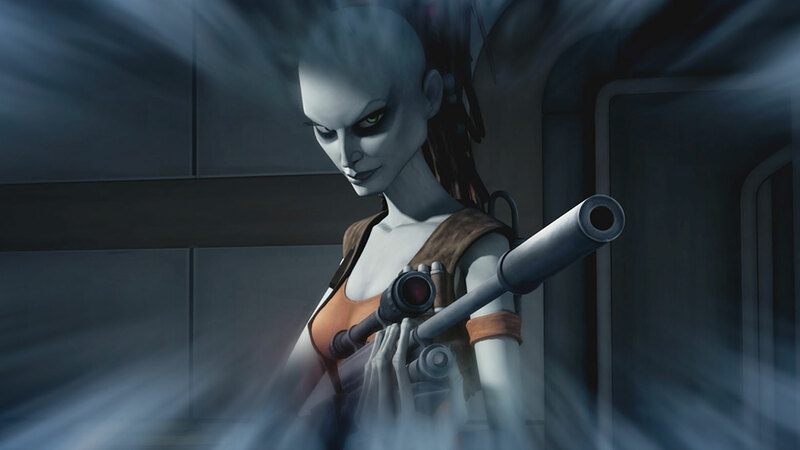 It also introduces viewers to AURRA SING (who briefly appeared during the Pod Race in Episode I: The Phantom Menace). 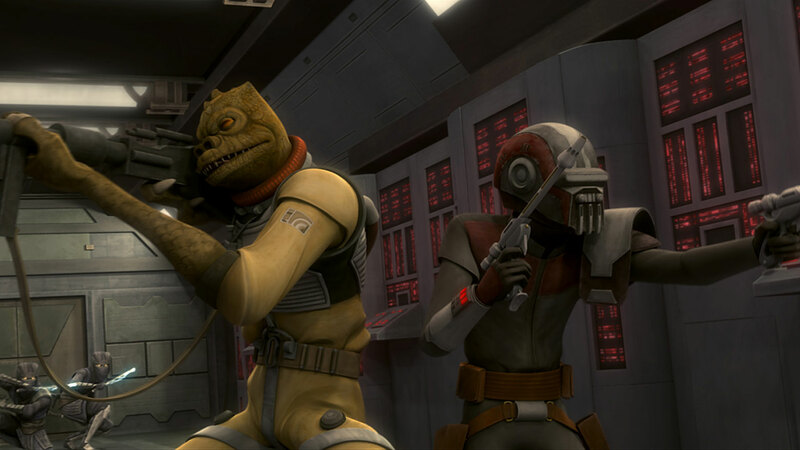 HONDO OHNAKA and Jedi Master PLO KOON makes a return as well. Dealing with premonitions from the Force seems to be something of a right-of-passage for great Jedi; this is Ahsoka’s first brush with the future. AURRA SING returns. 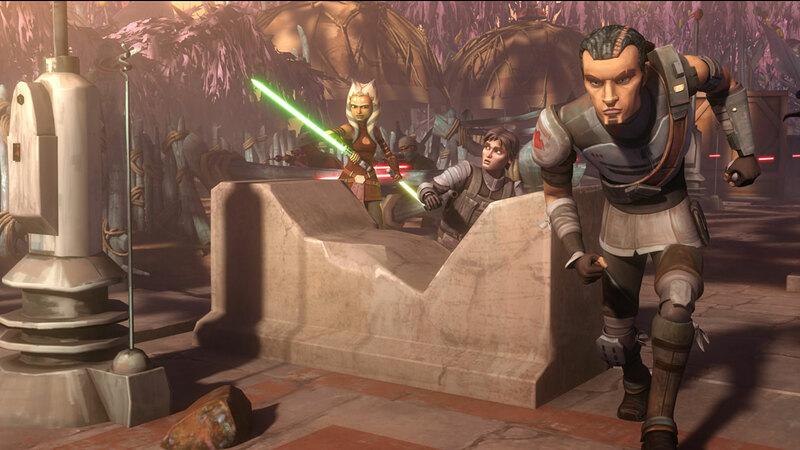 This episodes marks the introduction of Ahsoka’s new “aged” look, and introduces us to LUX BONTERI. 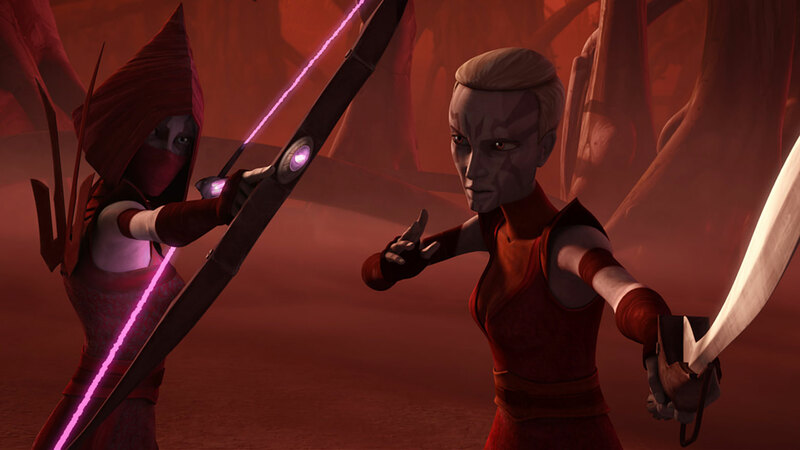 One of two story arcs on this list that don’t include Ahsoka, this arc provides viewers with a look into the darker mysteries of the Force and is an integral part to ASAJJ VENTRESS’s ongoing character arc. Perhaps the arc most closely tied to the secrets of the Force and the prophecy of The Chosen One (and written with some heavy input from Lucas himself) this arc marks Ahsoka’s next brush with a potential future. This trilogy is considered by many to be one of the best story arcs in the series, and should not be missed. This arc introduces us to a young Captain TARKIN prior to his appearance in Episode IV: A New Hope, and continues to focus on Anakin and Ahsoka’s Master/Padawan relationship. Jedi Master PLO KOON makes a short return. 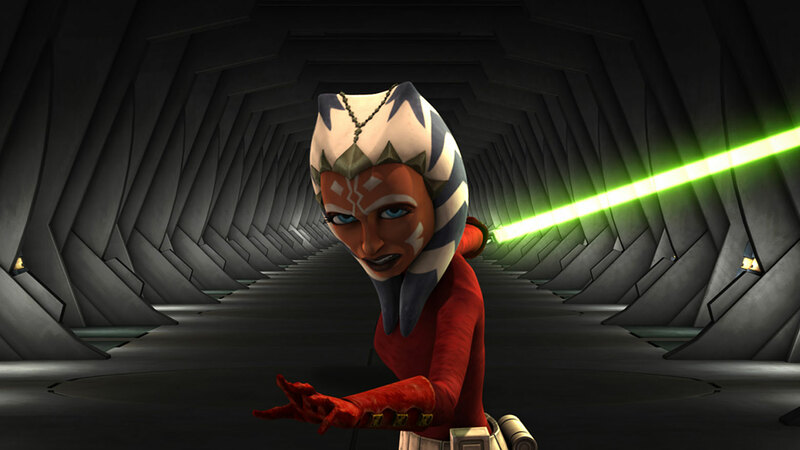 The finale of Season 3 marks Ahsoka’s first real foray at being on her own, and serves as a crucial moment in her growth as a character. This arc gives us a glimpse at where Ahsoka came from, and touches heavily on Anakin’s past as a slave. Jedi Master PLO KOON makes another small return. 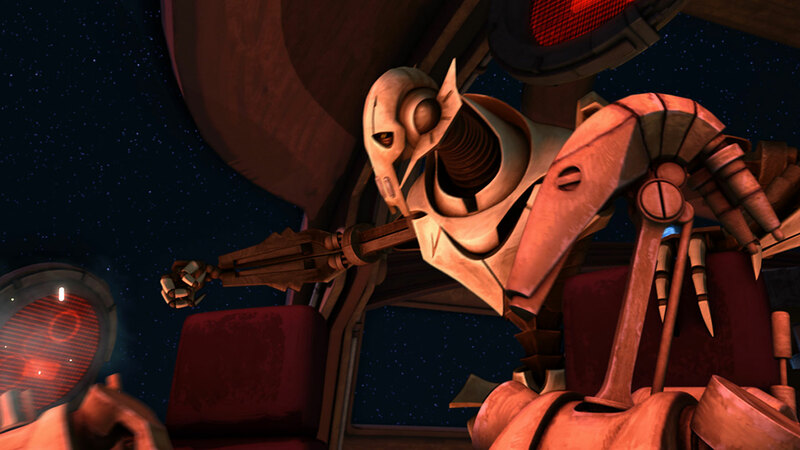 This episode marks the return of LUX BONTERI, adding some romantic tension to Ahsoka’s life. 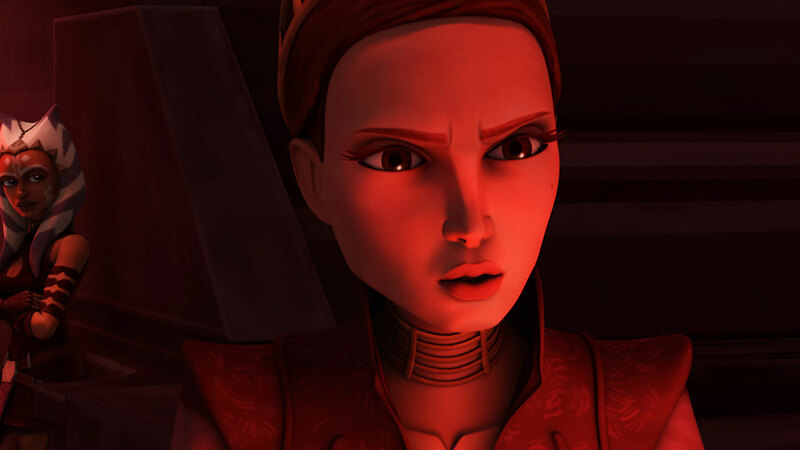 The second Ahsoka-less arc in the list. This one sees the return of ASAJJ VENTRESS and BOBA FETT. This arc in centered around Ahsoka leading a group of Rebels, a skill that will eventually become very important to her… Sees the return of LUX BONTERI and HONDO OHNAKA. 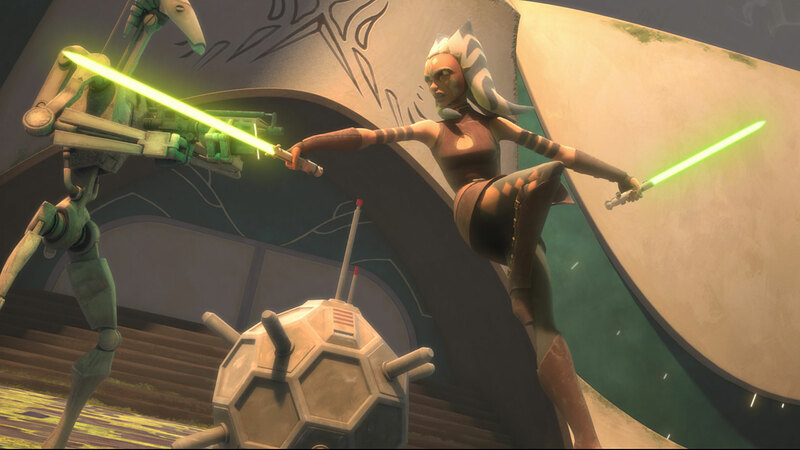 This Force-centric arc delves into the traditions of the Jedi and shows Ahsoka in the role of a mentor. Sees the return of HONDO OHNAKA. The end of Ahsoka’s character arc and the final episodes in the series proper, this arc sees the return of BARISS OFFEE, Admiral TARKIN and ASAJJ VENTRESS. 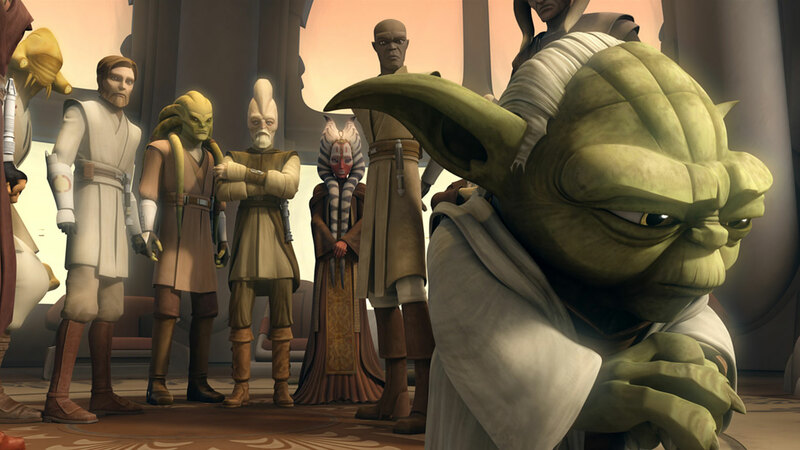 This Yoda-centric arc serves as precursor to the original trilogy, and fills a number of plot holes present during the prequel trilogy. 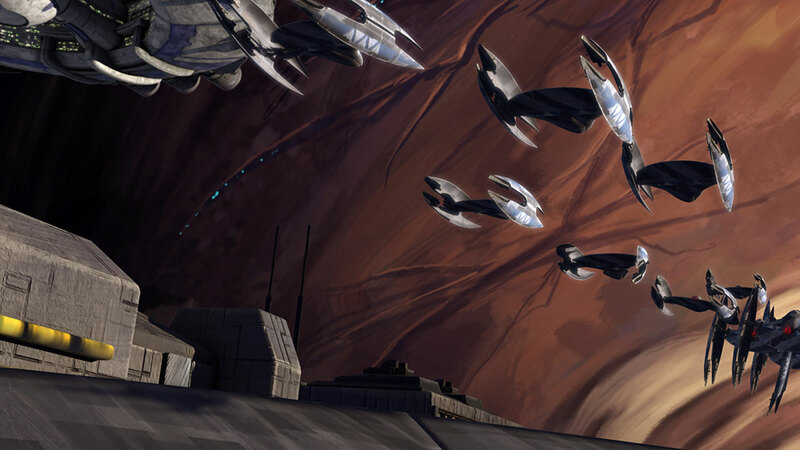 If the previous arc served as a finale to Ahsoka’s story, this serves as a finale to The Clone Wars as a whole; and delves into the history of both the Jedi, the Sith and the Force. So there’s the list. If any of you fellows fans or viewers out there feel I’ve missed something or should take something out, just let me know! Sound off in the comments. I’m not usually a fan of CG shows, but I watched a few episodes of this series and it seemed pretty good. Thanks for the awesome Force-centric list because I love Ahsoka Tano being that she’s my FAVORITE Star Wars character! !